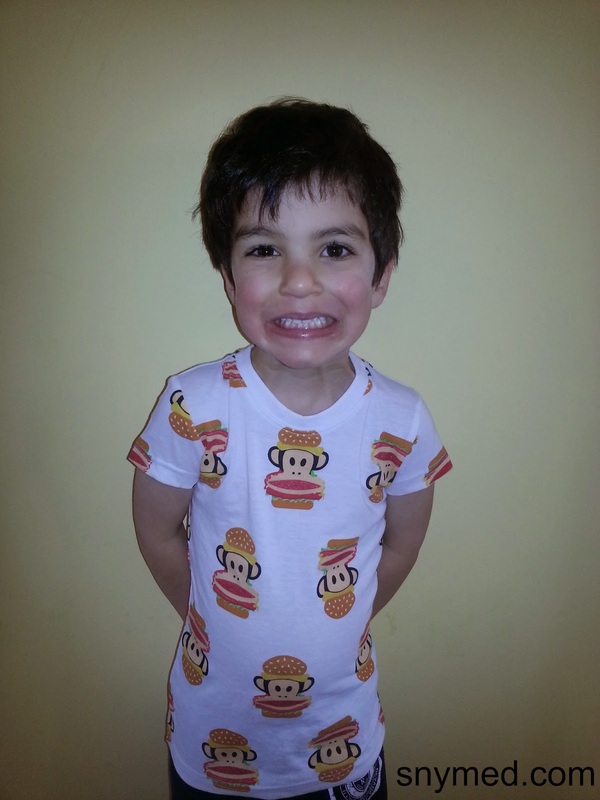 Paul Frank Brings Fun & Colour to Julius Monkey Clothing Line! 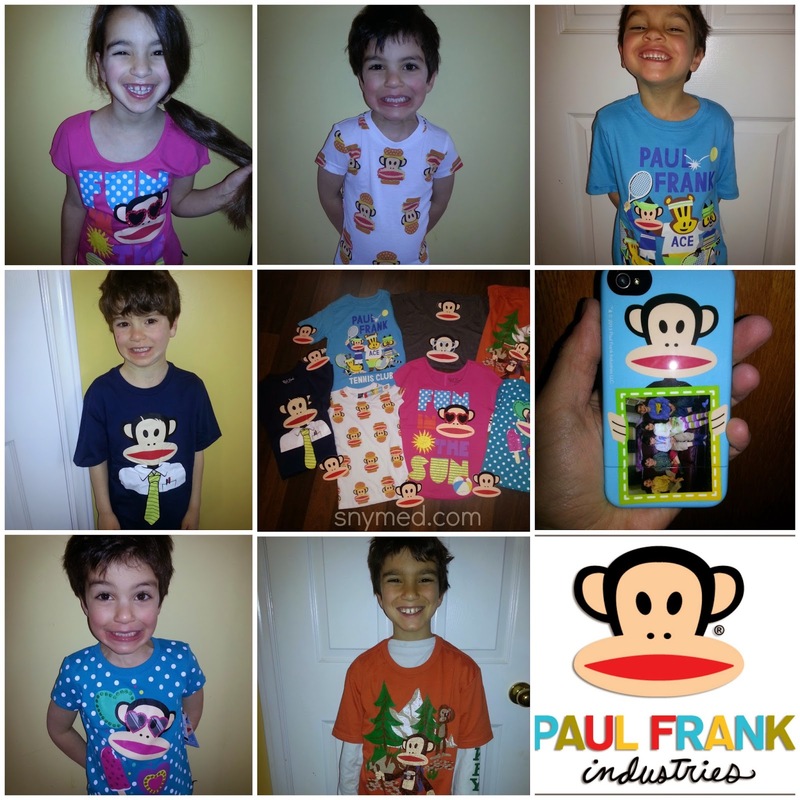 Fun Paul Frank Julius Monkey Tees! I wrote about Paul Frank clothes last year - you know, the clothing line with the cartoon monkey Julius. Looking at some of the Paul Frank "Julius" collection, above, I would classify it as bright, colourful, comical, fun, and all about feeling good. Paul Frank Julius clothing comes in infant to adult sizes, which means that there's a "Paul Frank" for every member of the family. As a Saban Brandbassador, my kids and I were delighted to try on these great Paul Frank styles! Check out the different tees, below! I like that the girls' collection for Paul Frank features bright colours and a special touch like polka dots or glitter. 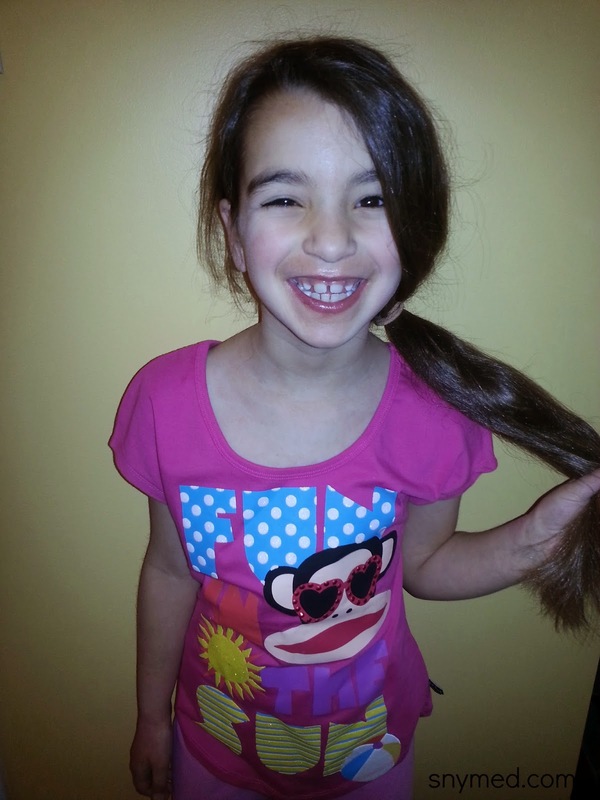 My daughter was crazy about this Paul Frank "Fun In The Sun" t-shirt! 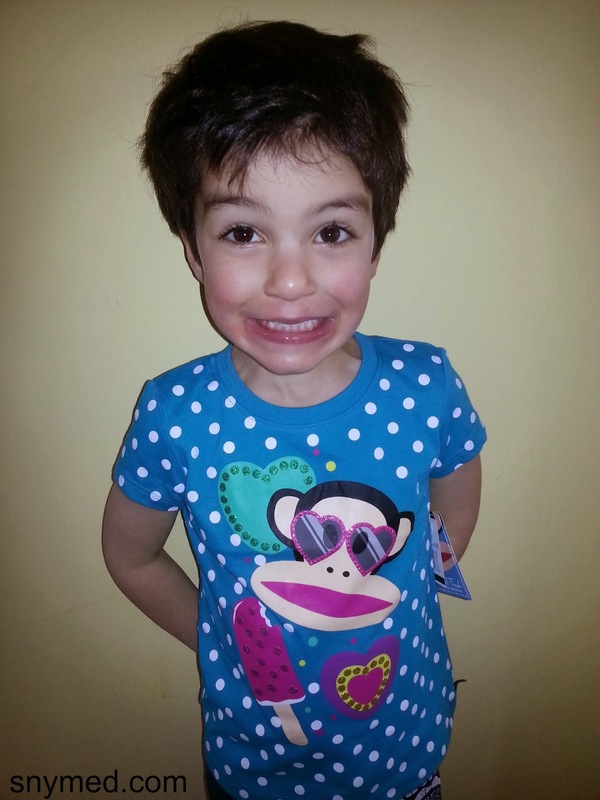 Look at this sweet baby girl tee from Paul Frank. It features a "jewelled" hearts, a popsicle and polka dots. Shh, don't tell my son that this is a girl's shirt. Here's my son showing his best face again. He's wearing the famous Julius "hamburger" t-shirt. Truth be told, whenever I see this shirt I feel like having a barbecue! 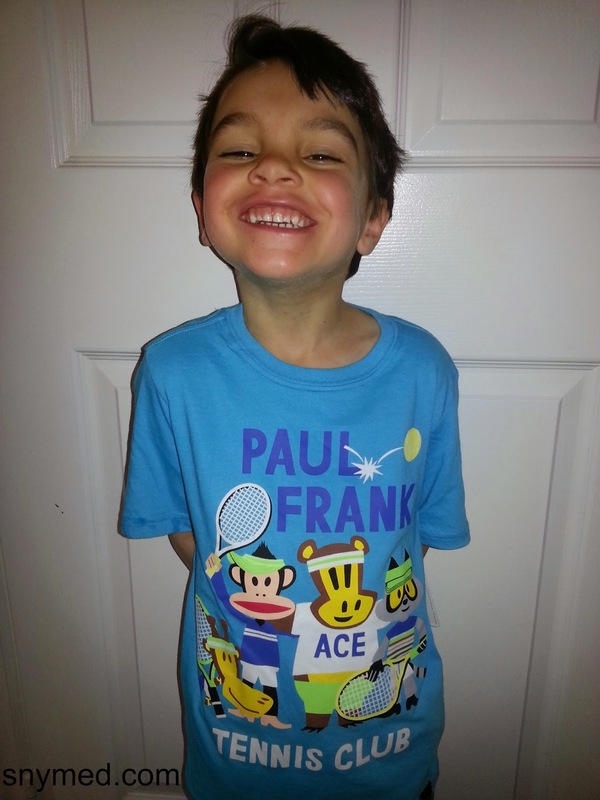 Don't be fooled: here's a different son wearing the Paul Frank "Tennis Club" t-shirt. I love that the features four different Paul Frank characters playing sports. 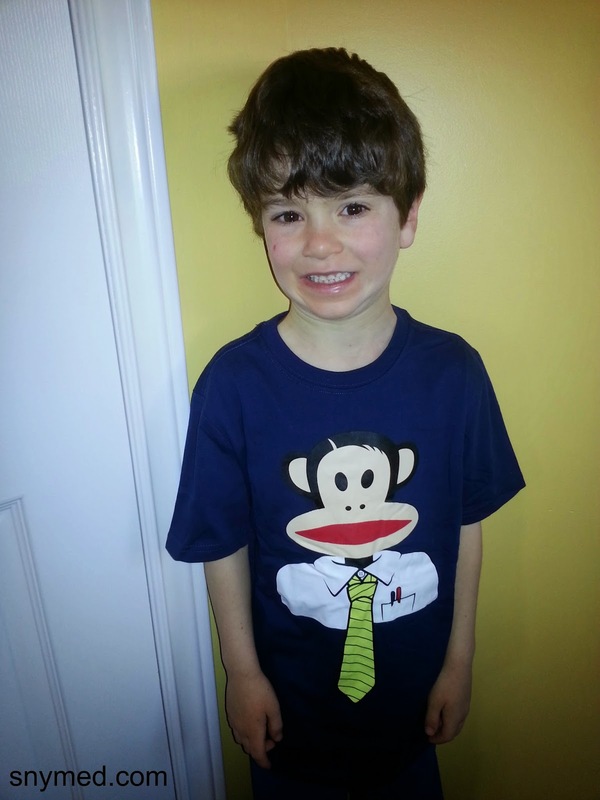 Brace yourself for yet another son modeling the Paul Frank "shirt and tie" tee. I love how Julius's tie hangs down the shirt, and that he's dressed like a working man. 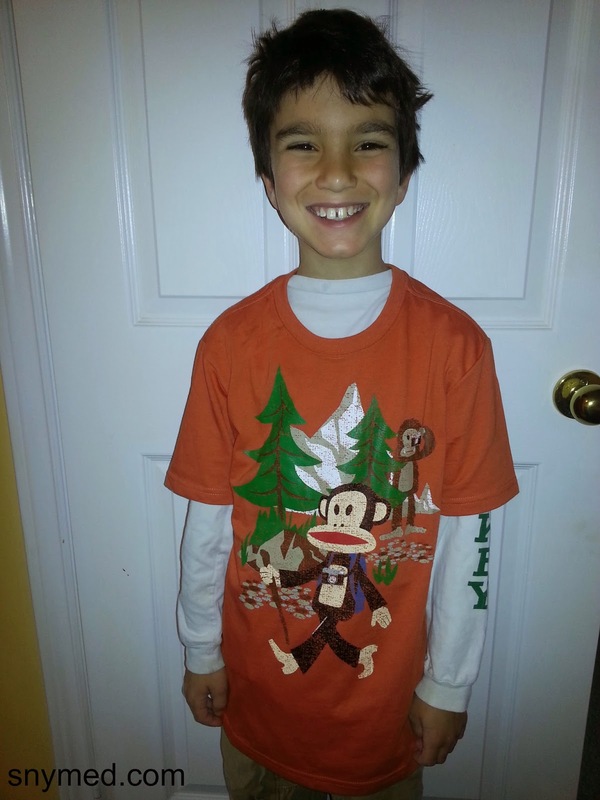 Last but not least, here's my oldest son wearing the Paul Frank Julius "hike through the woods" tee. It's not a long-sleeved top, but my son is wearing a different shirt beneath. This shirt is pretty funny, as it depicts Julius hiking through the woods with a camera around his neck like a man, but he's being observed by a real monkey. 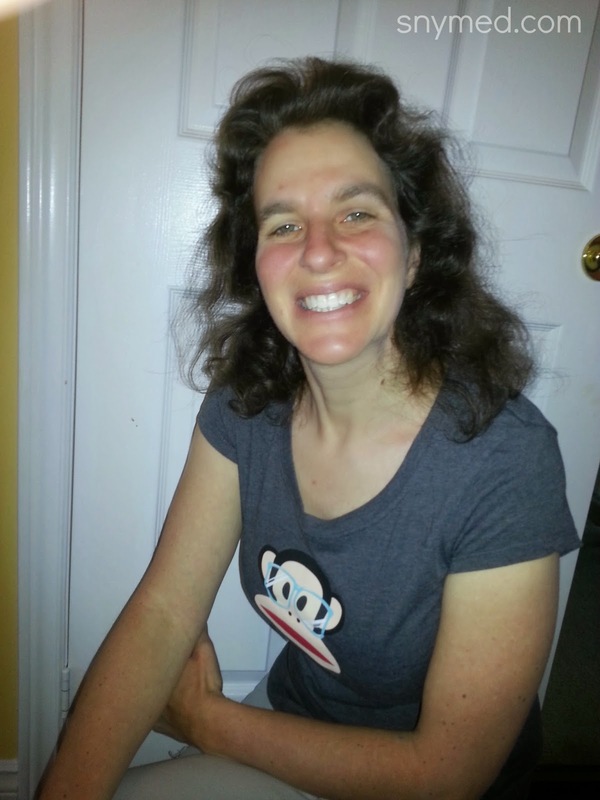 Mom Gets a Paul Frank Tee Too! And look at my cute Paul Frank t-shirt: it's a simple print of Julius wearing blue eyeglasses. The tee feels very good on, and I'll reach for in the warmer months. Thanks to my 5-year old for taking this pretty good picture of dear old mom! Check out this personalized Paul Frank Julius iPhone case from GetCommon.com. 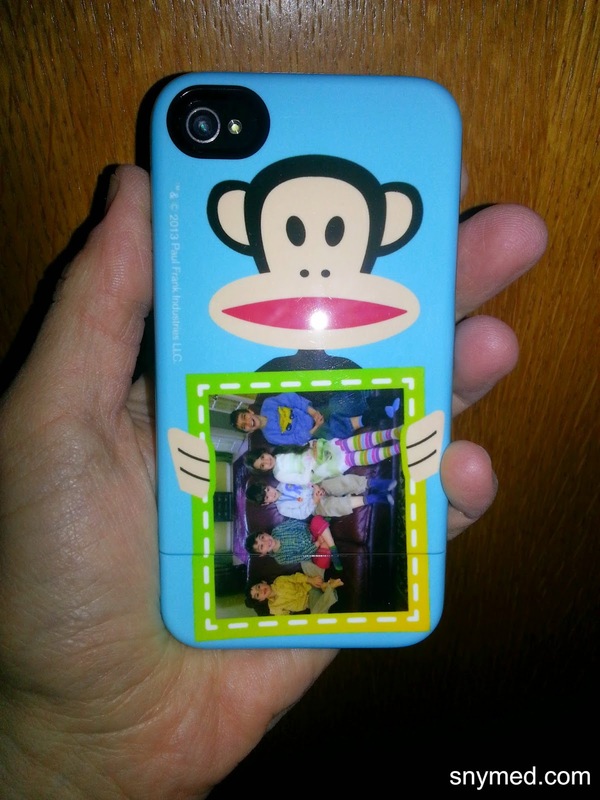 It fits my husband's phone great, and we had a photo of the kids physically printed onto the case. The design I chose was called "Happy Julius Buds", and retails for $34.95. There are a total of three different Paul Frank cases from which to choose. Paul Frank Is a Blast & Adds a Smile to the Day! Follow Paul Frank on Social Media! Have you heard of Paul Frank Industries - or do you recognize Paul Frank's Julius cartoon monkey? Which Paul Frank tee or tees do you like the best, out of the ones shown above? I am not going to lie, I am a huge Paul Frank fan! I have always been, even before I had kids. I think my son loves monkeys because I dressed him in Paul Frank practically the day he popped out! Nordstrom is my go to place for Paul Frank items when I cross the border! too cute! I want them all please!! We love Monkeys - I'll have to check out this guy!! love paul frank! we're def getting some summer pieces!!! and def some ADULT PIECES!!! Oh my goodness, these are the cutest things ever. Such a wide assortment, as well. Love them all. Those shirts are sooooo cute! I love Paul Frank, I had a pair of bell bottoms when I was a teen that I liked. I doubt they fit now. LOL! Your children's photos sum it up - FUN. Those designs just make you smile. I am a big Paul Frank fan. I had never heard of him until my cousin bought a Paul Frank zip up hoodie for one of my boys for Christmas. And then when I sold Avon, I bought a pair of PF pjs for myself and I love them! Now I need to find a PF case for my smartphone! My teen boys actually introduced me to the Paul Frank line a few years back. Love the monkey character. So much fun! I love Paul Frank, and I didnt know they made adult Ts! I have known about Paul Frank for a number of years. Awesome shirts!